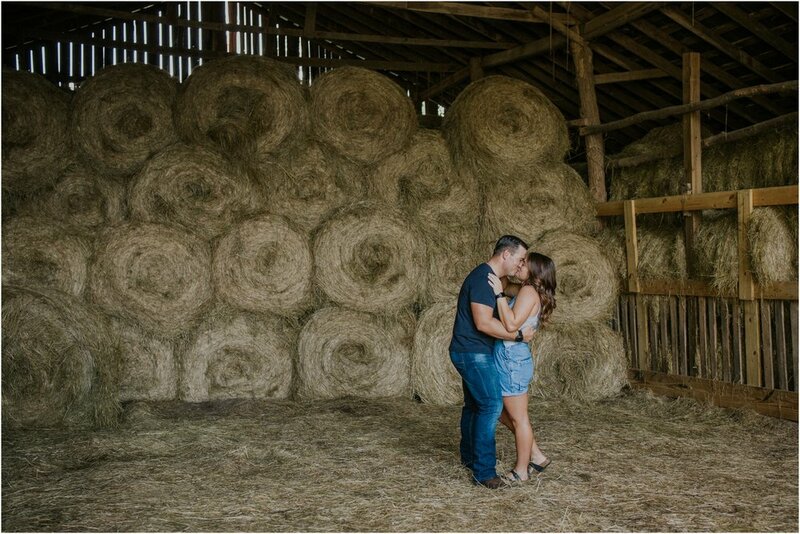 I had such a blast at Luke and Caroline's engagement session in August! These two are just so much fun to be around and bring out the best smiles in each other. Luke is in the Army and Caroline is a school teacher! Caroline told me that Luke proposed last Christmas Eve, when they had gone on a walk with their two dogs and friends. As they were posing for a photo together, Luke had given Caroline a kiss and tried to get the ring out smoothly from his back pocket. Well, the box had gotten caught on Luke's pocket knife, making it a slightly awkward moment as Caroline had no clue what he was trying to do! When it finally came free, he got down on one knee and asked Caroline to marry him. She, of course, said yes! 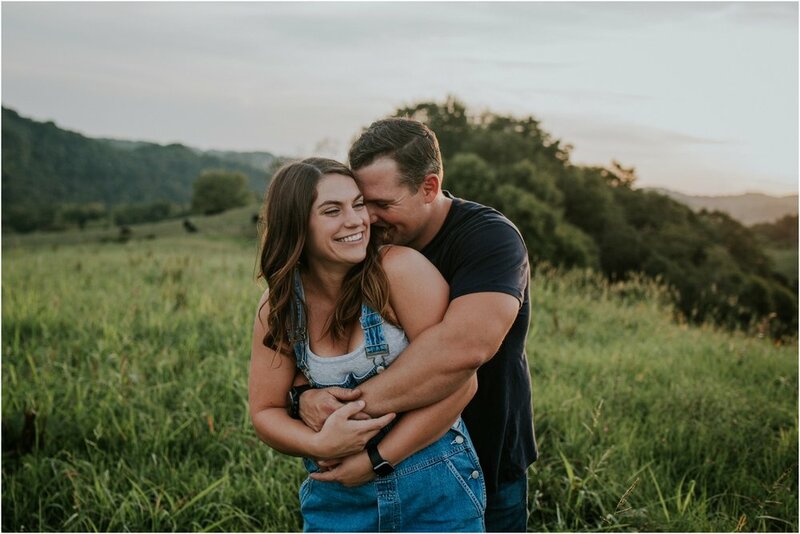 Since Luke is in the Army, it was a little though to find a date that would work for all of us for their engagement session. 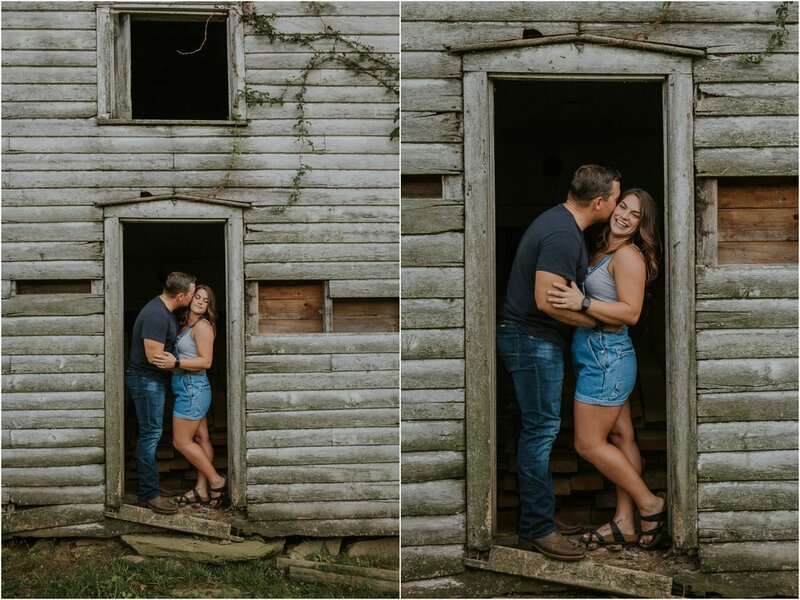 After only one reschedule, we finally found a date that would work and decided to meet up on Luke's family farm in Virginia! Let me tell you- it was an adventurous photographer's paradise! 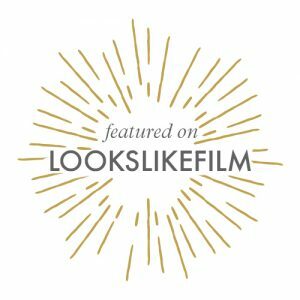 There were so many beautiful features and textures, I almost didn't know where to start! It was so great to hear Luke's stories as we went to each building-- each story involving many of Luke's family members and each holding a special place in his heart. I love it when my couples share a little bit of their life with me and such special locations! We spent the rest of the evening riding through the cow fields in the farm truck, taking in the beautiful Virginia sunset. 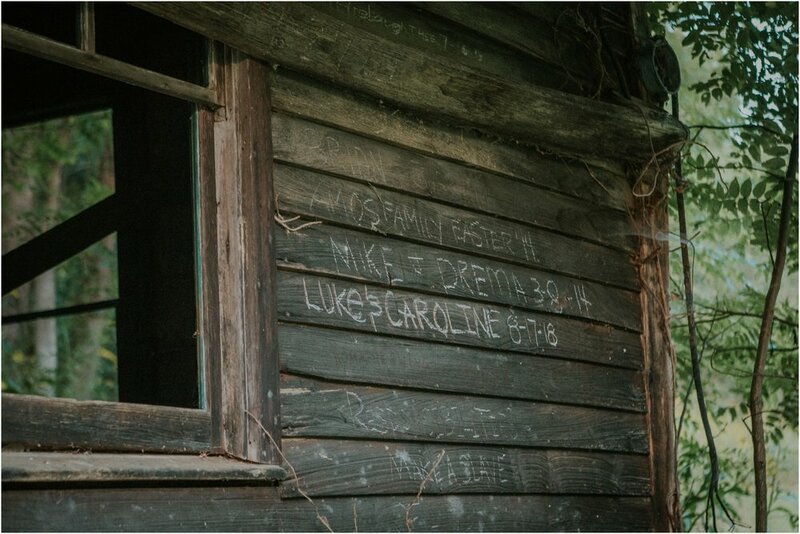 At the end of the session, Luke and Caroline added their names to the family cabin by the river, along with many of those who have visited in the past. 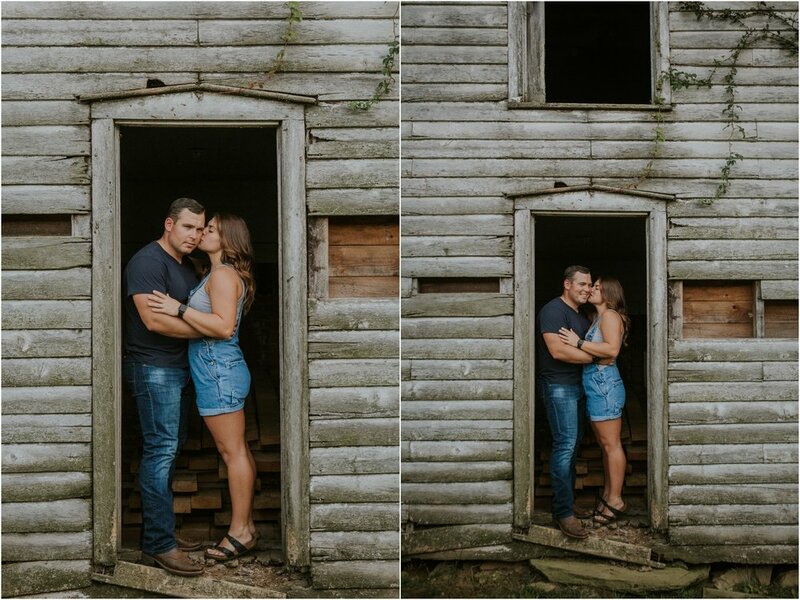 I absolutely cannot wait for their wedding in October at the gorgeous Camp at Buffalo Mountain! 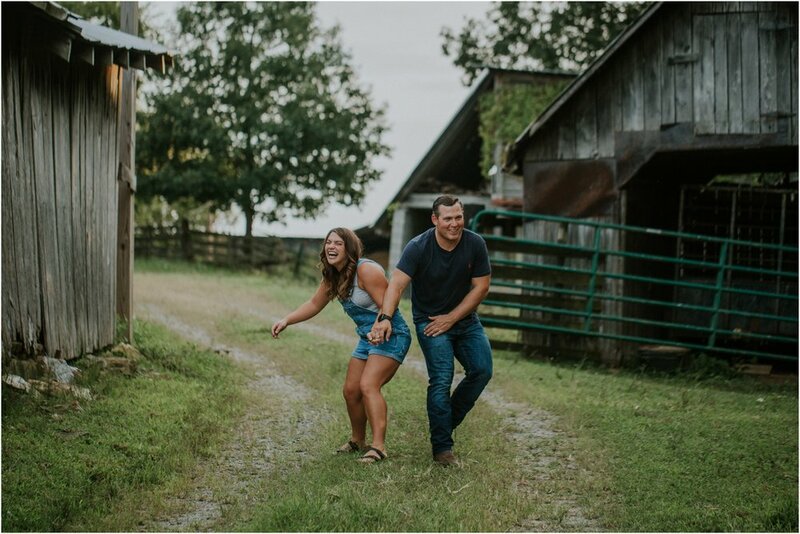 Luke and Caroline - - your smiles and laughter are so contagious! I just love your fun, free spirits, and the way you look at each other! I am so excited to be a part of your big day! October is just around the corner!